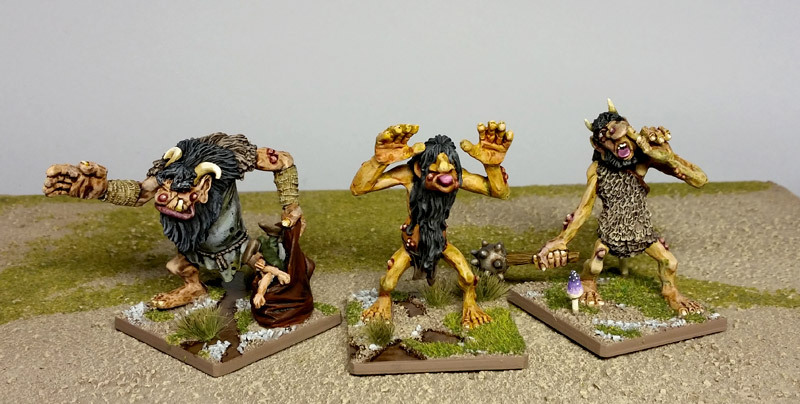 Finished the sixth troll. These were so much fun to paint. Now that I've got these done, I can use them next week in some 2500 pt. Kings of War games. I'm going to (prematurely) field my Fimir Fomorians One-Eyed Swamp Ogres. Using the ogre list, these will act as ogre hunters. I think it works... All my Fimm & Fianna ogres will be straight up ogre Warriors. These bog trolls Hunters will be more lightly armored, and will have the pathfinder and ensnare rules. So they're not "equivalents" to the actual ogre fluff, but the rules sort of make sense. To me, at least. In addition to the warriors & hunters, I will field some Moor Hounds as red goblin scouts (basic light, fast cavalry), the Bog Demon as a mammoth, and a couple of giants as.... giants! I'll have a couple of characters, and to make up the last bit of points, I will field a regiment of half-orcs using them as humans from the Kingdoms of Men list. Not an ideal list, but it's what I can field of an army vaguely inspired, once removed, by Irish myth on St. Patrick's Day. 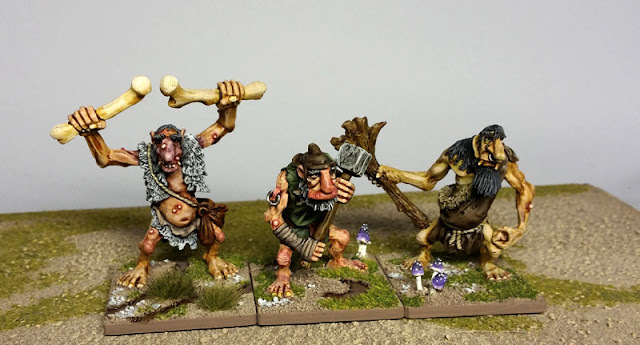 The trolls look ace! 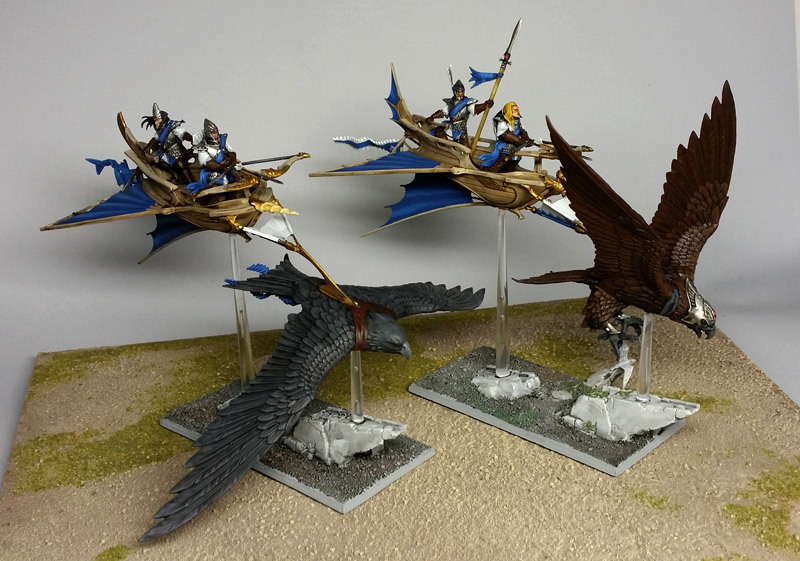 I like the High Elf chariots, very similar in style to how I’ve painted my High Elves. Thanks. These are really difficult models to paint!